Darrell J. Gaskin is the William C. and Nancy F. Richardson Professor in Health Policy and Director of the Johns Hopkins Center for Health Disparities Solutions. Dr. Gaskin is a health services researcher and health economist who is internationally known for his expertise in health disparities, access to care for vulnerable populations, and safety net hospitals. He seeks to identify and understand barriers to care for vulnerable populations; and to develop and promote policies and practices that will improve access to care for the poor, minority and other vulnerable populations, and eliminate racial/ethnic and socioeconomic disparities in healthcare. His current projects explore the relationship between “place” and healthcare disparities and examine racial/ethnic and socioeconomic disparities in hospital care. Dr. Gaskin’s has published in the leading health services and public health research journals, including American Journal of Public Health, HSR, Health Affairs, Inquiry, Medical Care, Medical Care Research and Review, and Social Science and Medicine. Currently, he serves on the Editorial Boards of HSR, Medical Care and Medical Care Research and Review. He is Chairman of the Board of Directors of AcademyHealth and a member of the Center for Health Policy Development Board, the board of directors for the National Academy of State Health Policy. His advice is sought in federal and state health policy. He was a member of the Congressional Black Caucus Commission on the Budget Deficit, Economic Crisis, and Wealth Creation. He is a former member of the Board of Directors of the Maryland Health Insurance Plan, the state’s high-risk pool. 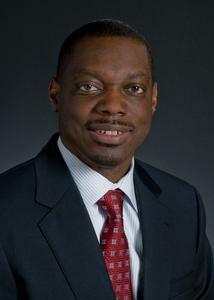 He served as the Vice Chairman of the Board of Directors of the Maryland Health Benefits Exchange Commission. Dr. Gaskin's recent research focus on the nexus of race, poverty, and place and their impact on health and healthcare disparities. Gaskin DJ, Zare H, Haider A, LaVeist TA. The Quality of Surgical and Pneumonia Care in Minority-Serving and Racially Integrated Hospitals. Health Services Research. (2015) doi: 10.1111/1475-6773.12394. Gaskin DJ, Thorpe RJ, McGinty E, Bower-Joffe K, Rohde C, Hunter Y, LaVeist T. Dubay L. “Disparities in Diabetes - The Nexus of Race, Poverty, and Place.” American Journal of Public Health, 2014 Nov;104(11):2147-55. Spencer CS, Gaskin DJ, Roberts ET. Disparities in the Quality of Hospital Care: Does Who Pays Matter? Health Affairs 2013 October;32(10):1730-1739. Gaskin DJ, Dinwiddie GY, Chan K, McCleary RR. “Residential Segregation and the Availability of Primary Care Physicians.” Health Services Research. 2012 Dec;47(6):2353-2376. Gaskin DJ, Richard P. “The Economic Costs of Pain in the United States.” J Pain. 2012 Aug;13(8):715-24.